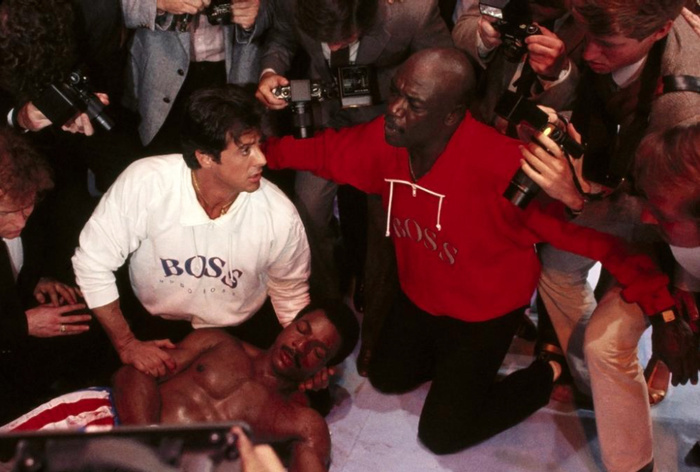 Tony Burton, the boxer-turned-actor who played coach Tony “Duke” Evers in the first six Rocky films, died yesterday at 78. According to his sister Loretta “Peaches” Kelly, who spoke to Michigan’s MLive last night, Burton had been in poor health for some time. He spent large portions of the last year of his life in the hospital, but was unable to receive an official diagnosis. Sadly, his ailments prevented him from being able to see a screening of the latest installment in the franchise, Creed, which included a small tribute to him. Burton was born in Flint, Michigan in 1937. He spent his childhood playing baseball for local little league teams and enjoyed great success as both a baseball and football player throughout high school. In his late teens, Burton turned to boxing. He won the Flint Golden Gloves light heavyweight championship in 1955 and 1957. He went on to claim the State Golden Gloves Light heavyweight championship in Nevada 1957, but lost in the semi-finals of the Chicago Tournament of Champions later that year. Burton turned pro in 1958 and spent the following year racking up a record of 4 wins, 3 losses, and 1 disqualification on various cards throughout California. He was inducted into the Greater Flint Afro-American Hall of Fame in 1993 for all of his athletic efforts. Unfortunately, the fighter was unable to support himself on boxing alone, and turned to crime to supplement his income. Theft charges eventually landed him in prison. While serving three and a half years in the California Institution for Men in Chino, California, though, he was able to turn his life around. He also developed a fondness for acting thanks to a prison group that used psychodrama as a form of therapy, and found an agent soon after his release. When one of his agent’s other clients, Carl Weathers, began working on a promising new boxing film, both the agent and Weathers realized that Burton would be perfect for one of the roles. They were right. 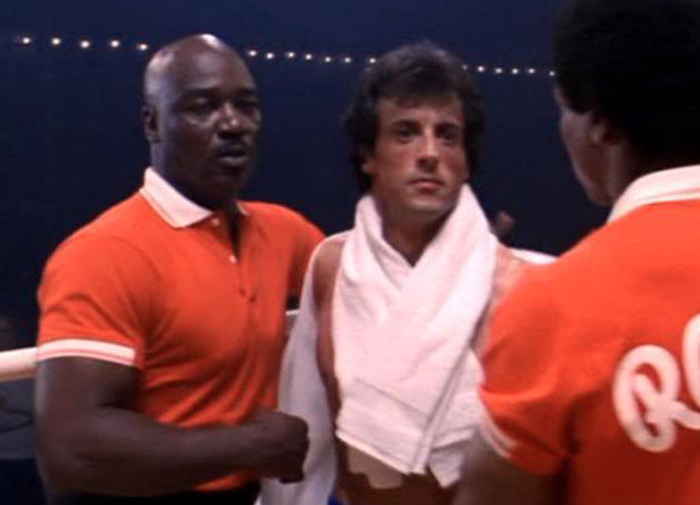 Burton went on to play Apollo Creed’s (and, eventually, Rocky’s) coach, Duke, in Rocky I-V and Rocky Balboa. He also received the aforementioned acknowledgement in last year’s Creed. While the actor might not have regaled his sister with many stories of Rocky, he remained incredibly fond of the franchise. He held on to Duke’s trademark cross and brought it back for each new film. He even knew how to wear it just right so that the pendant would appear in any close-ups. Despite a CV that looks like a who’s who of cult classic television, included Kojak, The A-Team, and Twin Peaks, and a film career that featured a prominent role in The Shining (he also played – and won– chess games with director Stanley Kubrick between takes), the deeply religious Burton considered a deleted scene from Rocky IV the best moment of his entire career.